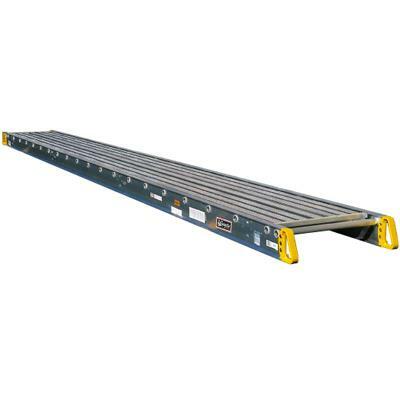 Scaffold plank used with ladder jacks or to provide a work deck 14" wide and 24' long. 6" side rail depth with yellow molded handles. * Please call us for any questions on our ladder scaffold plank 24 foot x14 inch rentals in Portland OR, Gresham OR, Milwaukee OR, and surrounding metro area.